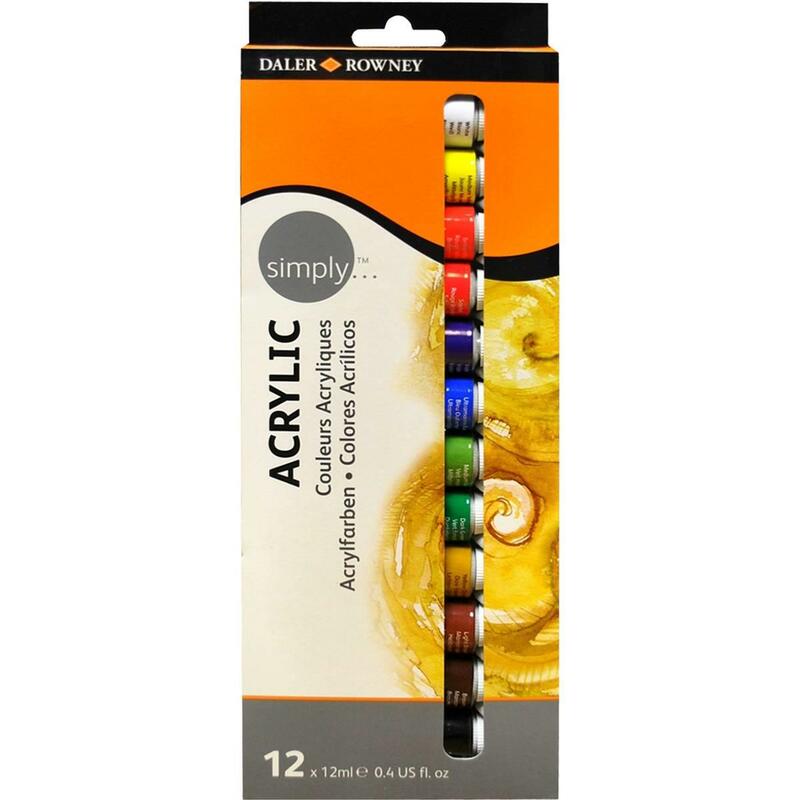 Daler Rowney 12ml Assorted Colours Set of 12 or 24 contains pigment-rich tubes of acrylic. 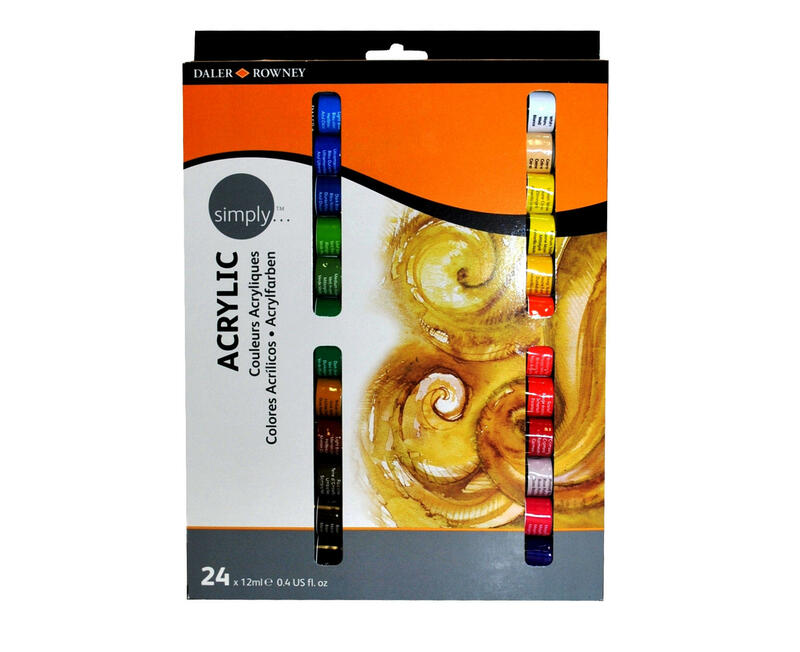 Water-based colours for use on virtually any surface from canvas to wood, clay, fabric and even metal. 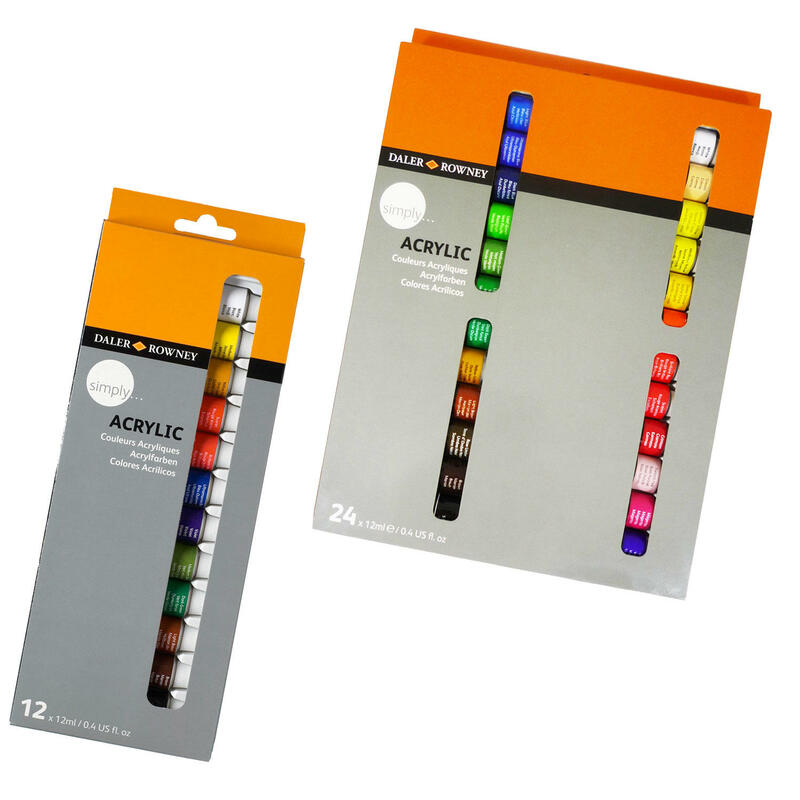 Vivid, highly pigmented acrylic colours that stay that way. Buttery consistency with excellent coverage qualities.